On National Ice Cream Day, which takes place on December 13, you probably won’t hear the ice cream truck, with its delightful tune, roll through your neighborhood. (There’s another National Ice Cream Day in July for that.) Your favorite ice cream shop may even be closed for the season! But it’s still a perfectly good reason to get a pint or three (who’s counting) of the good stuff to share with your friends and family. There are hundreds of flavors of ice cream beyond just chocolate, vanilla, and strawberry. If you’re feeling zesty, find a parlor that offers lemon meringue, or even horseradish ice cream. Or, if seafood is more your thing, find one of the joints on the east coast that serve up lobster ice cream. If you don’t like it, at least you can say you tried. Before the commercial success of ice cream in America in the 1800s, ice cream was typically reserved as a special summertime treat. But now, thanks to simple and cheap at-home devices, you can make whatever flavor you want. All you need is eggs, milk, cream, sugar, and the flavorings of your choice. It may take longer than a quick trip to the grocery store, but it’s a fun way to enjoy this cold confection. Serving ice cream is a tried and true way to bring a community together. This may be at the ice cream parlor in a local assisted living center, or perhaps at a free ice cream giveaway at the park, funded by donations. However you do it, the community will be brought closer together by this longtime summer food favorite. Now this may seem a bit too obvious, but ice cream makes us happy. If you need proof, just ask some of the neuroscientists over at the University of Sussex in England. 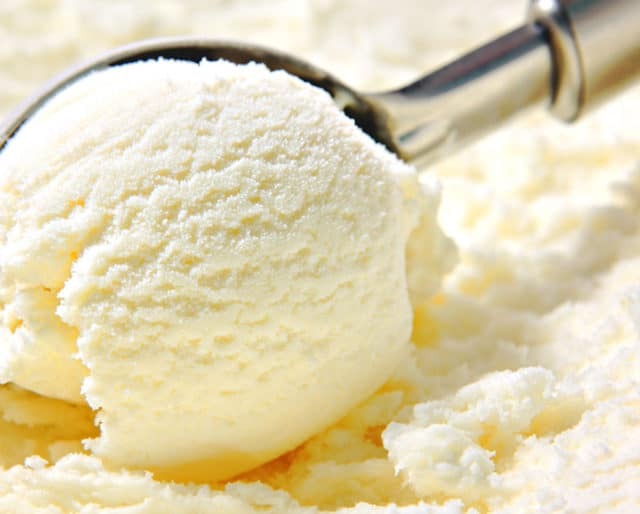 In one study, the scientists found that vanilla ice cream activates a part of the brain called the orbitofrontal cortex. In simpler terms, when we eat ice cream, the pleasure center of our brain lights up. This is great news. Thanks science. Whether we’re scrambling down the street chasing the ice cream truck or meeting up with friends at the local dairy, ice cream is more than just a cool treat — it’s a social outing. You can’t beat a shared banana split. Need a place where three generations of a family can all find something they want? An ice cream parlor’s the place to be. Almost as soon as ice cream was sold in America, people started adding new flavors and experimenting with the creation process. Now, more than 200 years later, it’s hard to imagine a flavor of ice cream that’s yet to be invented. Bacon, garlic, wasabi, and fish egg ice cream flavors are all out there at the moment, just to name a few.